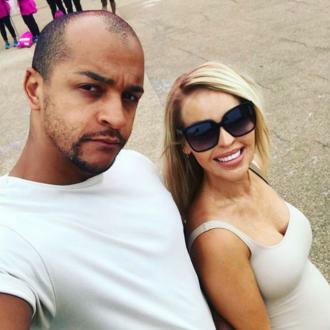 TV presenter and author Katie Piper - who suffered an acide attack - will be played by Lydia Hearst in the film 'Beautiful' after she sold the rights to her memoir of the same name. Katie Piper will be played by Lydia Hearst in the film 'Beautiful' after she sold the rights to her memoir, according to Variety. Piper was 24 years old and on her way to becoming a model when Daniel Lynch paid Stefan Sylvestre to throw sulphuric acid in her face. Piper and Lynch met on Facebook and started dating, but her life turned into a nightmare when she was held captive and brutally raped by her new boyfriend, and afterwards subjected to a vicious acid attack in the street. Within seconds her near perfect world was torn apart; from being young and beautiful, she felt her looks and the life she loved melting away. Her 2011 autobiography 'Beautiful' tells Piper's story and how she inspired millions with her fight to get her life back. Piper, who is now 33 and pregnant with her second child with her husband Richard Sutton, also starred in the documentary 'Katie: My Beautiful Face' which earned her a BAFTA nomination and which was shown in 15 different countries around the world. She now runs her own charity, the Katie Piper Foundation, which is dedicated to raising awareness about the plight of burn victims and others with disfigurement injuries, and she has released a number of books including a recent self-help tome 'Confidence: The Secret'. Big Sur's Orian Williams is producing the movie, which is yet to find a writer and director.